Bukky Awoyemi, popularly known as Bukky Arugba, has opened up on a scandal that almost soiled her onscreen sweetheart persona years ago. 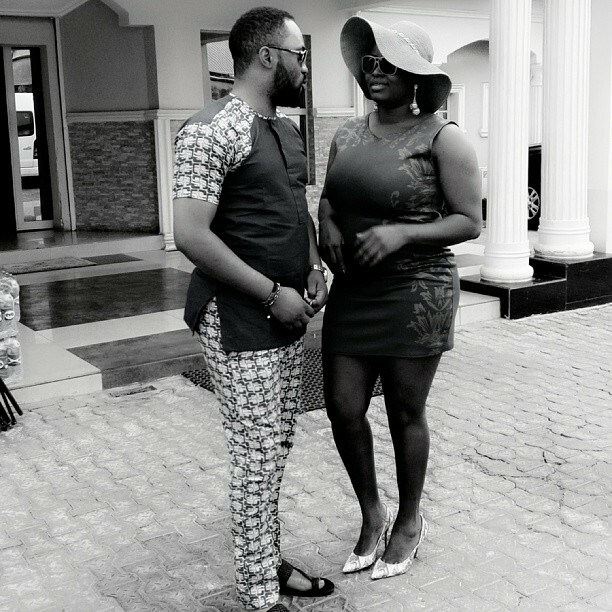 The beautiful actress was accused of snatching her Husband, Damola Olatunji, from another woman. In an exclusive chat with Saturday Beats, the mom of two talked about the period saying it was the most challenging time of her life. “People do not know the true story of an event but they just conclude and pass judgment. It was not easy for me back then because it was my most challenging moment in life. I am a very quiet person and it was a very gloomy period of my life but I thank God it is over. It was just the grace of God that kept me through that period and I would not want to comment further on that issue,” she said. “I am a professional so I don’t feel anyhow when I see him kiss another woman but as for me, I really don’t like doing things like that in a movie. But when I don’t do it well, my husband criticises me. He would tell me that I have to make it real. He would say that if I don’t do it well, it would not be real enough. Bukky further spoke on how she has been able to handle the teeming female fans under her husband’s spell based on his acting prowess. “We both don’t get jealous when we are with our fans or admirers because it is something we had been experiencing even before we got married. Of course they would not take him home after they are done talking with him or taking pictures with him,” she said.